The NFL and the NFL Players' Association agreed to terms on a new collective bargaining agreement on July 25, 2011, ending the NFL's 132-day lockout. The previous NFL collective bargaining agreement was agreed upon in 2006. However, the owners opted out of the agreement in 2008. It expired on March 11, 2011, after a one-week extension of negotiations failed to result in a new agreement. The NFL Players' Association was founded in 1956, but didn't earn recognition and power as players' union in a collective bargaining agreement utnil 12 years later. In 1968, the NFLPA threatened a strike, but the owners locked out the players for a week. After that louckout, and a brief strike, the first collective bargaining agreement was made. The NFLPA was forced to accept much less than it originally demanded because the AFL Players Association already had agreed to owners' demands. Two years later, the NFLPA and AFLPA merged when the two leagues did. The new NFLPA became the first pro sports union to be recognized by the National Labor Relations Board. That same year, another brief lockout led to a two-day player strike, before owners and players came to a four-year agreement. However, many union player representatives were let go by their teams. In 1971, the NFLPA hired its first executive director, attorney Ed Garvey. Six years later, the NFL owners were found guilty of violating federal labor and antitrust laws, and a settlement was reached. Benefits increased, impartial arbitration of all grievances were implemented, reforms in the waiver system and option clauses were gained, and some free-agent restrictions were ended. The NFLPA went on strike during the season for the first time in 1982. The strike started on Sept. 21 and lasted 57 days, until Nov. 16. That disagreement came from the NFLPA's demand that players receive 55 percent of gross revenue as opposed to the previous 50 percent, a request the league refused to cede. The NFLPA promoted two "All-Star games" during the time of the strike, though the attendances were dismal and none of the game's major stars played as the association had hoped they would. Part of that reasoning likely was that while the players were on strike they had no health insurance, meaning they would have been responsible for their own injuries suffered on the field. The strike also caused huge problems for TV networks, which had to scramble to replace some of its most valuable airtime. The owners tried to hold off as long as they could, believing that their loss of game day funds was far outweighed by the lack of income for the players. The strike finally ended Nov. 16, and a new CBA was signed on Dec. 5, after almost three weeks of negotiation. The union gave up its request for 55 percent but did get a 1.6 billion payout from the owners and succeeded in increasing the league's minimum salary, veteran pay and severance plans. Almost two months -- seven weeks -- had gone by without a game, which meant that the NFL had to implement a new structure for the remainder of the season. The regular season was only nine games, followed by a "Super Bowl Tournament" that featured the top eight teams from each conference, instead of using the normal divisional structure. For the first and only time in NFL history, two teams with losing records made the playoffs. The Washington Redskins won the tournament by beating the Miami Dolphins. In 1983, former Oakland Raiders star Gene Upshaw was chosen to succeed Garvey as the NFLPA's executive director. Players told him free agency is the highest priority since only one of about 500 eligible players got a free-agent offer in 1982. The NFLPA's second strike happened in 1987. This time, the strike was because of the expiration of the collective bargaining agreement and more disagreements on free agency. But the NFL was more prepared the second time, quickly replacing the striking players with replacement players -- some of whom had been put on standby by team owners anticipating a strike. The union called the strike on Sept. 22, and games for the season's third weekend were canceled. But by the next weekend the league had replaced striking players with replacement teams, which played the next three weeks. Ultimately 85 percent of the players sat out during the strike before returning for the seventh week of the season, starting Oct. 25. Once again, the NFLPA had failed to create a strike fund to cover players' lost salaries. Because of that, many players crossed the picket lines, some extremely quickly. Mark Gastineau, Randy White and Joe Montana were among the early strikebreakers. As it became clear that the replacement games were earning the same airtime and public interest, the union was forced to go back to work on Oct. 15, still without a CBA. The NFLPA filed an antitrust suit against the league the same day. The players finished the rest of the 1987 season and the next two years without a CBA in place as the legal battles between the union and the league continued. The first ruling in the NFLPA's suit ruled in favor of the players but was easily overturned in the Eighth Circuit Court of Appeals. The court ruled that as long as the players were represented by a union, they had no right to sue owners under antitrust laws. For the players to sue, they would have to disband from the union, which they did, leading to changes in free agency rules. Later, the NFLPA was recreated as a professional organization. In 1993, players filed an antitrust lawsuit in the name of Eagles defensive end Reggie White, leading the two sides settle on the current collective bargaining agreement, establishing the "NFL system." Players won unrestricted free agency for the first time, were guaranteed a higher percentage of most league revenues and received $195 million in settlement payments from the league. In exchange, owners got a salary cap to curb spending on payrolls. In May 2008, the owners decided to opt out of the 2006 agreement and play the 2010 season without a future bargaining agreement in place (and so without a salary cap). The collective bargaining agreement was scheduled to expire on March 3, 2011, but the two sides agreed to a one-week extension. However, on March 11, 2011, the NFLPA decertified as a union, leading to the owners imposing a lockout. A group of players, led by Tom Brady, Drew Brees and others, became the plaintiffs in an antitrust lawsuit against the league. The lockout was briefly lifted via court order in late April, but was re-instated via an injuction by a higher court just days later. The lockout eventually stretched into July, delaying the start of training camps and jeopardizing preseason games. On July 22nd, 2011, the owners ratified a new agreement by a vote of 31-0 (with the Raiders abstaining). The NFLPA did not immediately vote on the agreement, instead taking the weekend to hash out specific details of both the agreement itself and the recertificiation process. On July 25, 2011, the NFLPA ratified the agreement, and the lockout was lifted. Though no regular-season games were lost due to the 2011 lockout, the annual Hall of Fame Game was canceled, and free agency was forced to run concurrent with the start of training camps. The 2011 NFL Lockout lasted 132 days, running from the end of the previous collective bargaining agreement on March 11, 2011 to July 25, 2011, with a brief interruption when the lockout was lifted via court order in late April. The seeds of the lockout began in 2008, when the NFL owners opted out of the previous agreement, leaving 2010 to be played without a salary cap, and setting the expiration of the CBA for March 1, 2011. Commissioner Roger Goodell visited several training camps during the summer before the 2010 season, talking to players about the process and learning their concerns about the new proposals. Many players left those sessions disappointed, saying that the commissioner did not give them any new information or seem interested in negotiating. Two senators -- Lindsey Graham, R, S.C. and George Le Mieux, R, Fla. -- urged the union and the league to solve their dispute without the involvement of Congress (from which both parties have requested support, Graham said). Throughout the 2010 season, players voted to give the NFLPA the option to decertify as a negotiating tactic in the event of a lockout. The union did eventually decertify just before the deadline, and briefly won a legal challenge to the lockout, before it was reinstated by a higher court. The two sides met the weekend of the Super Bowl, and were scheduled to have multiple meetings the following week. However, after meeting on Feb. 9, the two sides canceled their meeting the next day, as well as a scheduled meeting for Feb. 17. On Feb. 14, the NFL filed unfair labor charges against the NFLPA, saying the union's strategy was "an unlawful anticipatory refusal to bargain." On Feb. 17, 2011, the two sides agreed to enter federal mediation. The mediation intially seemed to result in some progress, with the two sides agreeing to a one-week extension of the collective bargaining agreement to try and get a deal done. However, that progress was short-lived, and the NFLPA filed for decertification as a negotiating entity by the 5 p.m. March 11 deadline. At midnight that night, the owners imposed a lockout, followed by a group of players filing an antitrust lawsuit against the league. Saints quarterback Drew Brees called the owners' final offer made before the lockout "a front", and said it was no different from any of the other proposals in the years since the owners opted out of the 2006 agreement. However, the NFL's lead negotiator, Jeff Pash, said the proposal was for a 10-year CBA that contained various new provisions. The players and owners met in court on April 6, 2011, in front of Judge Susan Nelson. Judge Nelson ordered the two sides back to mediation while she ruled on the players' lawsuit. On April 25, 2011, she granted the players' request for an injunction to lift the lockout. However, the NFL was granted a stay of that ruling on appeal, and the lockout was put back in place days later. In early July, the 8th Circuit Court of Appeals ruled that the lockout was legal, clearing the way for the players and owners to settle their differences outside of court. On July 21, 2011, the owners ratified a new collective bargaining agreement by a 31-0 vote (with the Raiders abstaining). The players had not seen the final agreement, and delayed a vote until some final points could be worked out. Both sides worked through the weekend, adding an opt-out clause to the agreement and clarifying other details. The NFLPA ratified the agreeement via a vote by its members on July 25, 2011, and the lockout was lifted. March 8, 2006: By a vote of 30-2, NFL owners accept the NFLPA's proposal to a 6-year extension of the CBA. The Bills and Bengals voted against the deal. May 20, 2008: NFL owners vote 32-0 to opt out of the CBA following the 2010 season, 2 years before the extension was originally set to expire. The 2006 CBA extension allowed either the NFL or NFLPA to out of the deal following the 2010 season by November 8, 2008. At the time, the NFL released a statement reading in part: "The current labor agreement does not adequately recognize the cost of generating the revenues of which the players receive the largest shares; nor does the agreement recognize that those costs have increased substantially -- and at an ever increasing rate -- in recent years during a difficult economic climate in our country." August 20, 2008: NFLPA executive director Gene Upshaw dies. Upshaw had served as the NFLPA's executive director since 1983. 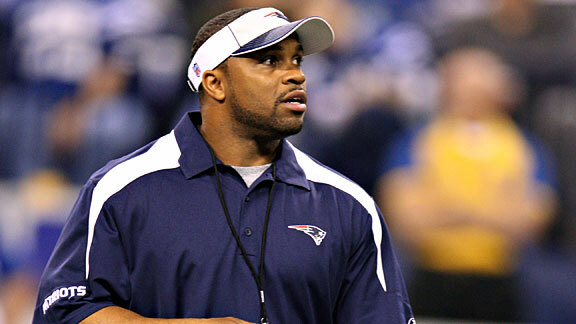 March 15, 2009: Attorney DeMaurice Smith is elected executive director of the NFLPA. March 5, 2010: With the start of the "final league year" under the CBA, the NFL begins a season without a salary cap (or floor) for the first time since 1993. The "final league year" also triggers additional restrictions on player movement (number of accrued seasons needed to become a free agent, additional franchise/transition player tags, etc.). February 9, 2011: The NFL walks away from a negotiating session with the NFLPA over a disagreement on how to divide league revenue. A negotiating session scheduled for February 10th is canceled. February 17, 2011: The NFL and NFLPA agree to seven days of negotiations under the oversight of the Federal Mediation and Conciliation Service, an independent U.S. government agency. George H. Cohen, director of the FMCS, announces he will serve as a mediator during the talks. February 24, 2011: Negotiations between the NFL and NFLPA adjourn without an agreement. At Cohen's suggestion, the two sides agree to meet again on March 1st. March 1, 2011: For an eighth day, the NFL and NFLPA conduct federally-mediated negotiations. Giants owner John Mara attends the meeting, making him the first owner to participate in the federally-mediated talks. U.S. District Judge David Doty overrules Special Master and declares the NFL violated the Collective Bargaining Agreement in agreeing to TV deals that offer ongoing payments to the league during a work stoppage. March 11, 2011: With no agreement reached, the NFLPA decertifies renouncing its status as the exclusive collective bargaining representative of the players. The current CBA will expire at 11:59 pm ET. Ten players file antitrust lawsuit against NFL in Minnesota's 8th District Court. Plaintiffs included are Drew Brees, Tom Brady, Peyton Manning, Ben Leber, Brian Robison, Vincent Jackson, Mike Vrabel, Logan Mankins, Osi Umenyiora, -- and Texas A&M's Von Miller, incoming draft prospect (to protect against league imposing rookie salary cap for the 2011 draft). April 6, 2011:Judge Susan Nelson holds a hearing on the plaintiffs' request for an injunction to end the lockout. April 11, 2011: Judge Nelson orders both sides to participate in court-supervised mediation while she waits to make a ruling on the lawsuit. April 14, 2011:	Mediation begins under Judge Arthur Boylan in Minnesota. It adjourns six days later, with a scheduled resumption date of May 16. April 25, 2011: U.S. District Judge Susan Nelson grants the players request for a preliminary injunction to lift the lockout. The NFL responds by filing an appeal to the 8th Circuit of the United States Court of Appeals. April 29, 2011: 8th U.S. Circuit Court of Appeals in St. Louis granted the NFL's request for a temporary stay of Judge Nelson's injunction order, restoring the lockout. May 16, 2011: The U.S. Court of Appeals granted the NFL's motion for a permanent stay, keeping the lockout in effect until at least the June 3rd hearing, when the NFL's appeal of Judge Nelson's ruling will be heard. June 8, 2011: Judge Nelson moves up a hearing for the league's motion to dismiss the players' antitrust suit from Sept. 12 to Aug. 29 -- nine days before the regular season is scheduled to begin. June 21, 2011: After frequent meetings between both sides, all 32 owners meet with Commissioner Roger Goodell to discuss the details of the latest CBA proposal. No vote is taken on the deal, which sources say gives the players 48% of league revenue, without the $1-billion-plus credit off the top. July 8, 2011: The 8th Circuit Court overrules the District Court's decision to issue a preliminary injunction, and declares the lockout legal. Based on previous stay rulings, the final ruling was not a surprise, but the timing was, as many expected the court to wait until settlement talks were finalized to rule. July 21, 2011: NFL owners approve a proposed 10-year labor agreement with the NFL Players Association on Thursday, leaving the potential end to the league's lockout in the hands of the players. July 25, 2011: After taking the weekend to finalize details of the labor agreement, including the addition of an opt-out clause for both sides, the NFLPA ratifies the agreement via a vote, ending the 132-day lockout. NFL commissioner since 2006, Goodell previously served as the NFL's chief operating officer. 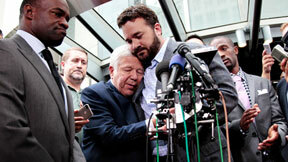 Executive director of the NFLPA since 2009, Smith previously worked as a partner at a Washington DC law firm. The NFL's outside counsel, Batterman has been a labor lawyer for 40+ years and was involved in the negotiations that led to the NHL's season-long lockout in '04-05. 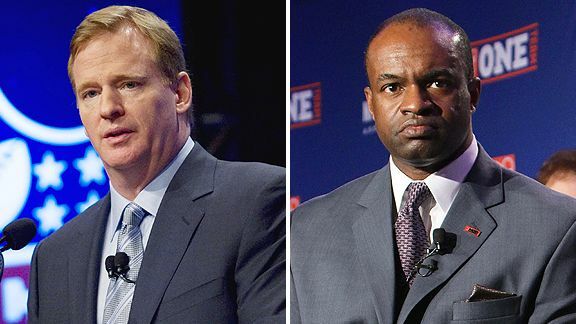 The NFL's executive vice president and general counsel, Pash is serving as lead negotiator for the owners. Appointed as a District Judge in Minnesota in December of 2010, Nelson is the third judge assigned to the federal antitrust lawsuit filed by the players. The Chief Magistrate Judge in the district of Minnesota, Boylan was chosen by Nelson to oversee court-appointed negotiations between the two sides.